With his career’s progression Ethan Hawke’s scruffy, unwashed, unkempt persona has lost its repugnance and become cultish in its appeal. Hawke’s performance in “Juliet, Naked” is a resounding testament of an actor’s aptitude to actually become, inhabit the soul of his character; “Tucker Crowe”, a washed up American rock singer, with some renown, from the 90’s; lionized by “Duncan” (naïvely natural Chris O’Dowd), in a small English town, on his daily blog; Hawke’s self-deprecating, unabashed, disarming characterization is dazzling. 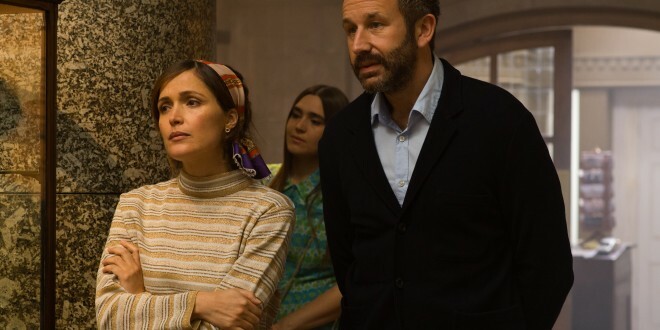 But the film’s true magnetism belongs to Rose Byrne; “Annie”, approaching forty, proprietor of a family operated museum, living with “Duncan”, her choices are straight-jacketed by her boundaries; she supports his Tucker Crowe obsession until an unfinished demo “Juliet, Naked” arrives; she finds it unsatisfying and posts her negativity on Duncan’s site, igniting his ire and a positive response from a resurrected Tucker. Thus commences a digital, poetic relationship, resulting in a hilarious first encounter. “Juliet, Naked” directed by Jesse Peretz is charmingly insightful, warmly wonderful in its development; its enchantment lies in one’s capacity to sever the “ties that bind”, take a leap of faith, rise from the chrysalis and fly into a life, fully realized.